GM Halts Operations In Venezuela After Plant Seizure : The Two-Way The automaker says its only plant in Venezuela was confiscated by public authorities. Details are murky: Multiple employees at the plant tell NPR car dealers were responsible for the plant takeover. General Motors says it has halted operations in Venezuela after authorities seized a factory. The plant was confiscated Wednesday in what GM called an illegal judicial seizure of its assets. General Motors has stopped operations in Venezuela after its only plant there was illegally seized by authorities, the automaker says in a statement. The details are murky: Multiple employees at the plant tell NPR that they believe auto dealers, not government officials, were responsible for the takeover. The seizure happened Wednesday, as the "mother of all protests" brought hundreds of thousands of people into the streets to demonstrate against socialist President Nicolas Maduro. GM announced the plant confiscation Thursday, saying its plant in Valencia "was unexpectedly taken by the public authorities, preventing normal operations. In addition, other assets of the company, such as vehicles, have been illegally taken from its facilities," GM said. The company said the "illegal judicial seizure" would cause "irreparable damage" to GM, its suppliers, its 79 dealers and nearly 2,700 employees of the plant. But while GM says the seizure will hurt its dealers, multiple employees at the plant tell NPR that the takeover was actually orchestrated by GM dealers, with the support of a judge and police officers. GM responded says it stands by its original description of events. Venezuela's government has not commented. Hector Riera, 43, a product analyst who has worked with GM Venezuela for 16 years, was among many who appeared convinced the plant been confiscated by dealers connected with GM. He said Venezuela's Works Ministry has guaranteed that the workers will keep their jobs, but added: "We don't feel happy. We will only feel happy when our plant starts operation again. We need to be sure our jobs are safe and we are going to start working again. Given the situation in Venezuela these days, it would be really hard to find another job like the one I am doing here at this plant." Junior Perdomo, 36, an analyst at GM Venezuela, said he learned of the takeover Monday on a social network, and that on Tuesday a dealership representative came to the plant to explain the situation. He said the takeover was led by the president of a national dealership, describing this individual as "a representative of the dealerships all over the country of Venezuela." "They came here with all the files and documents saying that they have been fighting this since 2000, saying that General Motors has not been fulfilling its contracts," Perdomo said. "Of course, I was shocked," he said. "We don't know what is on the horizon." 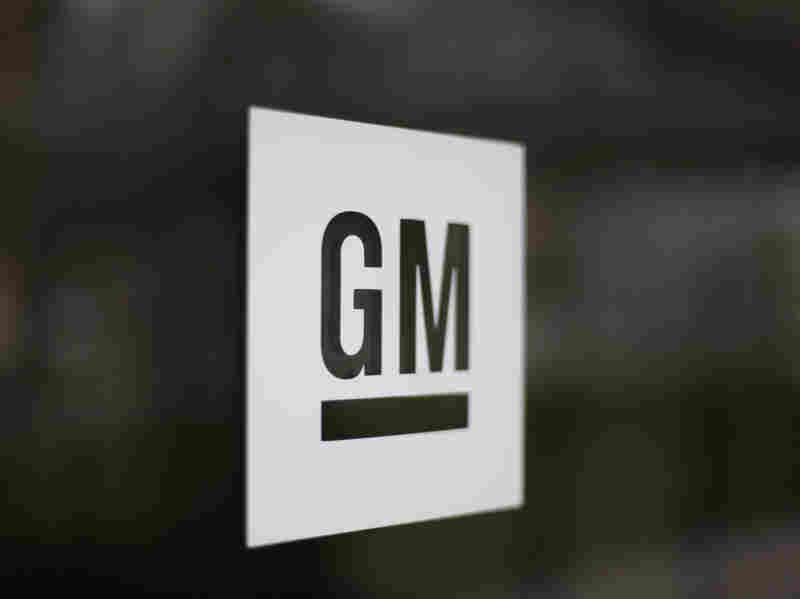 However, he said, GM workers have been assured company debts will be paid, and told that the new operators want staff to have good pay and benefits. Humberto Valera, another GM employee, said no cars or other assets have been taken from the plant. He said employees had been guarding it. He called GM's withdrawal from the company "very worrying." He too said that the takeover was by dealers — and there's no connection with the Venezuelan government. The plant employees tell NPR they believe dealers took over the plant out of frustration that the facility has not been producing cars recently. The Associated Press reports that the GM plant in Valencia "hasn't produced a single car" since 2015. "Like most carmakers in the oil-producing nation, it has seen production grind to a halt as the cash-strapped government chokes off its access to dollars needed to import parts and repatriate profits," the wire service writes. "Nationwide, carmakers assembled just 2,849 cars last year, from a peak of 172,218 vehicles in 2007." GM is the market leader in Venezuela. The company's suppliers represent more than half the auto parts market there, according to GM. Auto parts are among the many products that have been difficult to acquire in Venezuela — food and medicine have also been chronically short in the economically devastated country. After the closure of this plant, auto parts might be even harder to acquire. GM plans to fight the seizure in court, the AP reports. Venezuela's government has seized foreign-owned factories before. "In 2014 the government announced the 'temporary' takeover of two plants belonging to U.S. cleaning products maker Clorox Co., which had left the country," Reuters reports. "Venezuela faces around 20 arbitration cases over nationalizations under late leader Hugo Chavez." "But the protesters who showed up Wednesday vowed to keep struggling against Maduro and voicing their displeasure with the state of the country. "By several media accounts, hundreds of thousands of anti-Maduro demonstrators flooded city streets to protest bread scarcity, ballooning inflation — which several estimates peg at triple digits — and what they see as an increasingly dictatorial regime."